We love making new and exciting things here in Sanctuary and what a better time then Christmas time to come up with new and exciting items just in time for the Christmas season. This year we have thought of a brilliant idea of designing our own Artificial grass Christmas tree skirt. These tree skirts can match your artificial Christmas tree and will hide the hideous frame that comes along with having an artificial Christmas tree. Our artificial Christmas tree skirt can also be used for real Christmas trees not just artificial. A good tip here is when the needles fall from your real Christmas tree the will be camouflaged into the fibres of the artificial tree skirt…… win win!!! This tree skirt really is the gift that keeps on giving it can be used every Christmas it is easily folded and is easily stores away to be used for the next Christmas. We’ve had customer joke that if they don’t put it away straight after Christmas it will be used as a putting green! See it really is the gift that keeps on giving. Our festive Christmas tree skirt is €35 including posting and packaging. We have also designed an artificial Christmas doormat. 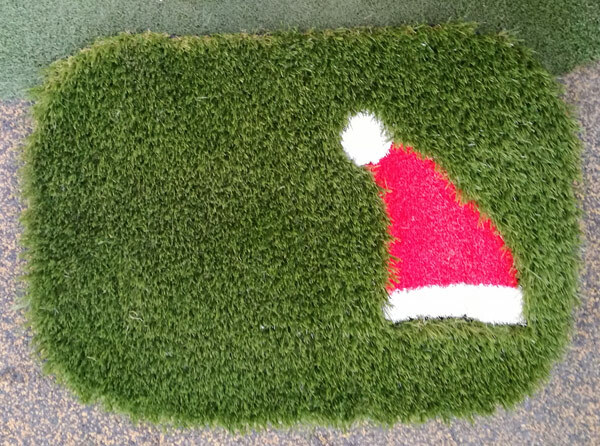 It is very festive with a Santa hat done with our red and white schools artificial grass inserted into one of our longer pile height grasses. 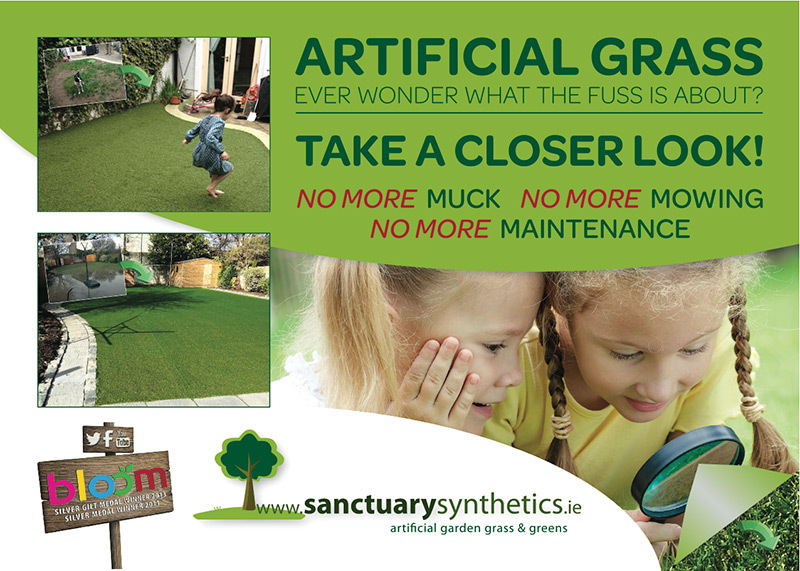 Our door mats are made of our top-quality grasses including are Real and our super artificial grass. This product can be used outdoors as a welcome mat to your house to give it that festive touch it needs this time of year or it can be simply used inside your house. Like the Christmas tree skirt this doormat can be re-used every Christmas, its exceptional quality ensures that it will last for many Christmas to come. It is very unique product and there is nothing else like it on the market. Our Santa Christmas door mat is only €19.99 including posting and packaging and will be delivered within two working days.Both products are very easily cleaned and can even be hovered. We will send these incredible products straight to your door with our courier. A no fuss service. All our products are made with exceptional care for detail. 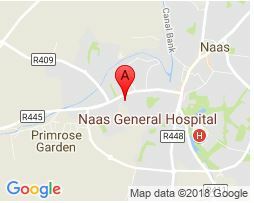 Our Christmas products just like all our other products are made from the best quality materials handmade in our Irish warehouse to ensure the longevity so the products will see you into this Christmas and to all future Christmas. These products will not be affected by weather or decrease in temperature These products are both decorative and functional. and really have the wow factor we all strive to achieve at Christmas time.